Bengaluru: Karnataka Assembly Speaker was on Monday forced to suggest a Special Investigation Team (SIT) probe as the members of the Opposition, the BJP expressed their dissatisfaction over chief minister HD Kumaraswamy’s choice of forming an investigation team over the audio tape controversy. 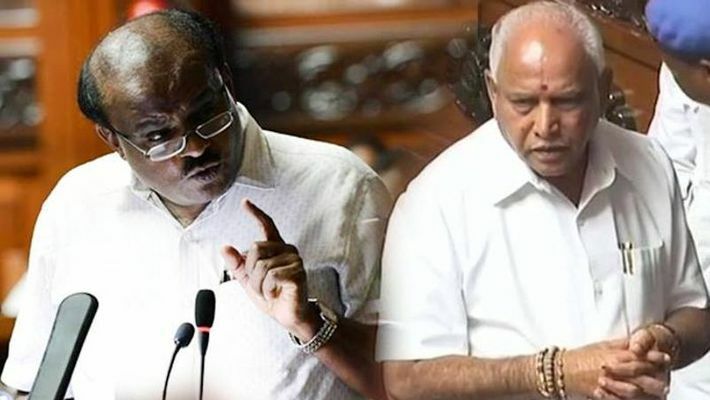 Speaker Ramesh Kumar has handed over the controversy related to the audio tape, allegedly involving former chief minister and state BJP president BS Yeddyurappa and a JD(S) MLA’S son Sharangouda when Yeddyurappa visited Devadurga, to an SIT. Amid growing chorus that the issue has to undergo legal scrutiny, the Speaker was of the opinion that a team be formed by none other than Kumaraswamy himself. But owing to massive resistance offered by the BJP members, who vociferously doubted the chief minister’s integrity in this regard, the matter was ultimately handed over to the SIT. The chief BJP member who cried foul over the chief minister handling the issue was Madhuswamy, the Chikkanayakanahalli MLA. Even as he levelled charges of nepotism and highhandedness from the ruling government, Kumaraswamy too played it safe and concurred with Madhuswamy’s suggestion. The SIT has been given a fortnight to submit its report. Incidentally, the Speaker was also not averse to the idea of forming a House Committee and a judicial commission. But as things stand, these issues are ultra vires for a House Committee and a judicial enquiry would take a painfully long time to conduct an investigation.